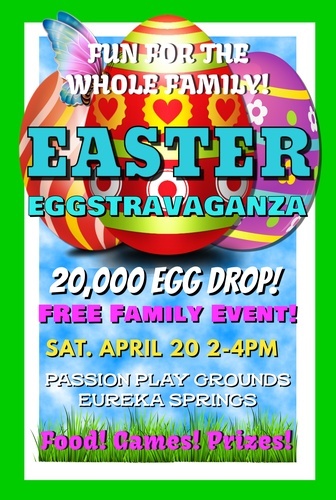 Join us at the Passion Play in Eureka Springs Saturday, April 20th from 2pm-4pm for Easter Eggstravaganza! This is a FREE family event featuring games, food, prizes and a huge egg-drop for children of all ages! See you there!